The first chapter takes place in a Protestant street. Tommy and Sadie Jackson are already looking forward to the 12th day of July which is a Protestant celebration day. Meanwhile, Catholic Kevin McCoy is out causing trouble in the Protestant part of town. What will happen when Sadie and Kevin meet? Can they become friends when everyone else in Northern Ireland is so full of hatred against the other religion? 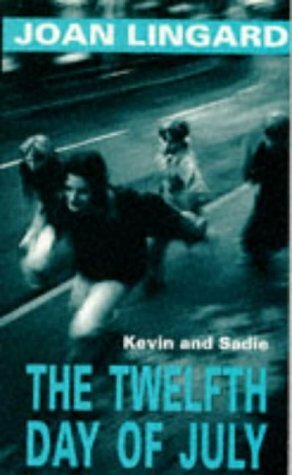 The Twelfth Day of July is on our UKYA Top 100 list. 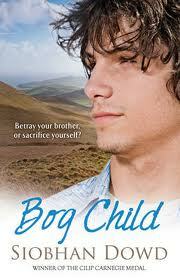 Categories: N. Ireland, Romance, Social/Family | Tags: Joan Lingard | Permalink. After Shell’s mother dies, her obsessively religious father descends into alcoholic mourning and Shell is left to care for her younger brother and sister. Her only release from the harshness of everyday life comes from her budding spiritual friendship with a naive young priest, and most importantly, her developing relationship with childhood friend, Declan, who is charming, eloquent, and persuasive. But when Declan suddenly leaves Ireland to seek his fortune in America, Shell finds herself pregnant and the center of a scandal that rocks the small community in which she lives, with repercussions across the whole country. The lives of those immediately around her will never be the same again. Categories: N. Ireland, Social/Family | Tags: Siobhan Dowd | Permalink. Declan loves Seaneen, but his ambition to work at a top showjumping yard is stronger than anything he’s ever felt before. So when Declan is offered his dream job in Germany, he should be thrilled. 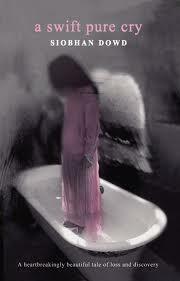 There’s nothing for him at home but dark history he’d rather forget. But he’s terrified: leaving Seaneen’s harder than he expected; troubled hood Cian won’t leave him alone, and when he finds a traumatised horse in a derelict barn, he knows he has to help her. No matter how scared he is. 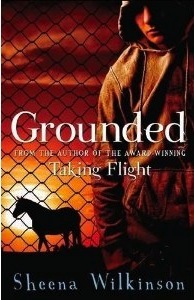 Grounded is a gripping story of courage, fear, despair and joy by the award-winning author of Taking Flight. Categories: N. Ireland, Social/Family | Tags: Sheena Wilkinson | Permalink. Moving from a harsh West Belfast estate to the glamour of the showjumping ring, Taking Flight is a fast-paced story of courage overcoming jealousy. Read an interview with Sheena Wilkinson and watch her read an extract of Taking Flight here. The extraordinary story of one long summer in the life of an 18-year-old boy caught up in the chaos and conflict of Ireland in the 1980s. Digging for peat in the mountain with his Uncle Tally, Fergus finds the body of a child, and it looks like she’s been murdered. As Fergus tries to make sense of the mad world around him – his brother on hunger-strike in prison, his growing feelings for Cora, his parents arguing over the Troubles, and him in it up to the neck, blackmailed into acting as courier to God knows what, a little voice comes to him in his dreams, and the mystery of the bog child unfurls. Categories: Crime, N. Ireland, Social/Family, Thriller | Tags: Siobhan Dowd | Permalink.